Find Retrievers.com News & Articles » Blog Archive » Congrats to Mary Peterson on her Derby Win! 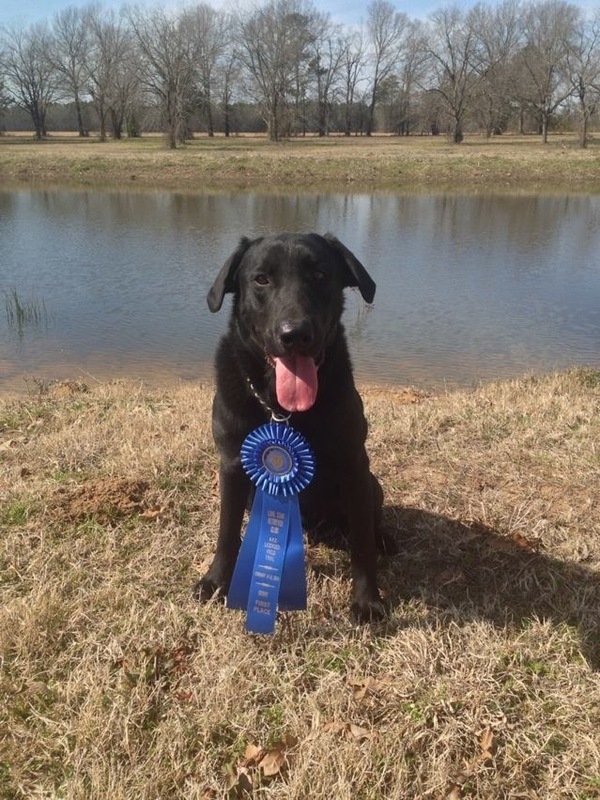 Congratulations to Mary and Marty Peterson on their dog, Granite Peak’s Causing a Ruckus, winning a 27 dog Derby at the Lonestar Retriever Club’s Spring Field Trial on Feb. 15. Cody is out of FC AFC Riverrun’s True North and Sealock’s Seaside Stella owned by Carol and John Sealock. Congrats on the blue ribbon!